Being called offside is a good thing in this case, but don’t tell the FIFA referees. That’s a statistical prediction of where on Mars the rover might end up landing, given uncertainties such as atmospheric conditions during entry and descent. 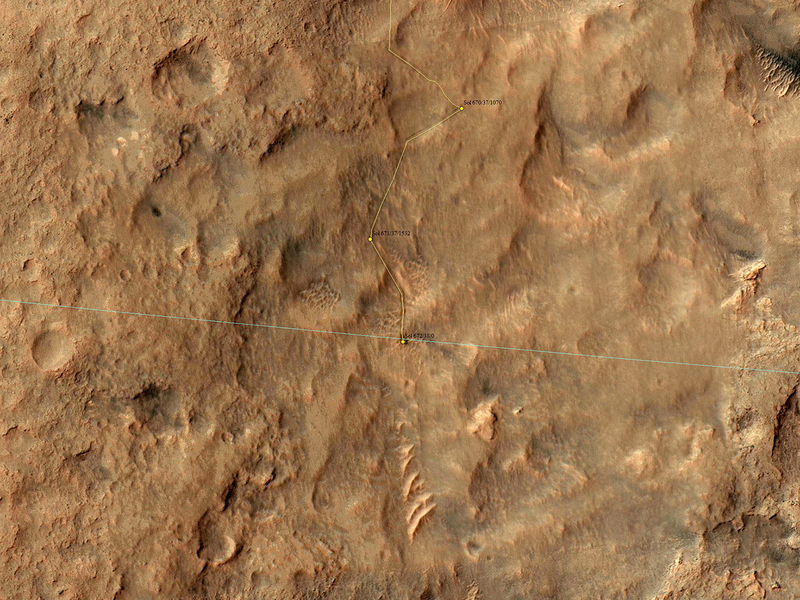 “3-sigma” means 3 standard deviations, so the rover was very, very likely (to about the 99.9% level) to land somewhere inside this ellipse. Such 3-sigma ellipses get a lot of scrutiny during landing site selection, because we don’t want anything dangerous like boulders or cliffs inside this ellipse during landing. 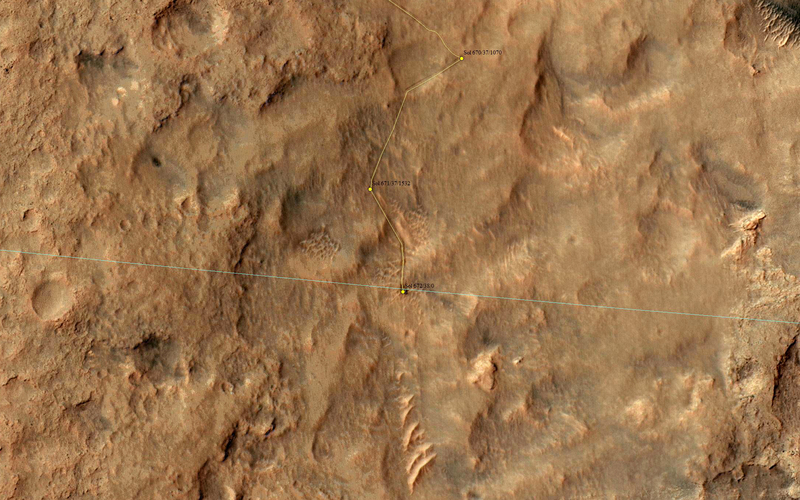 Thus MSL didn’t try to land right at the base of Mount Sharp where the most interesting terrains lay (as seen from orbit), and spent almost exactly one Mars year roving (and exploring) until arriving at the edge of the ellipse. Maybe the landing-site aficionados are cheering now? Let’s try this: now that MSL is outside the safe-to-land ellipse, the landscape will get more interesting. 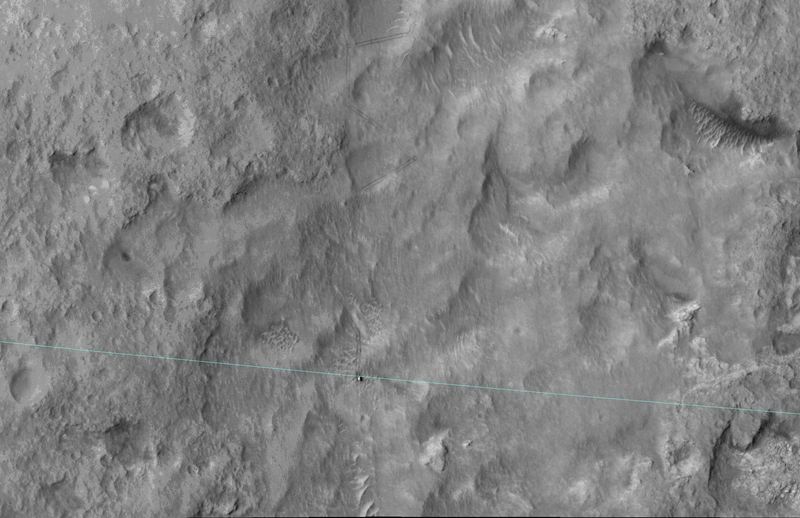 The rover can drive around landscape features that would be dangerous to land on. Both the scenery and the geology should be more exciting in the next Mars year. 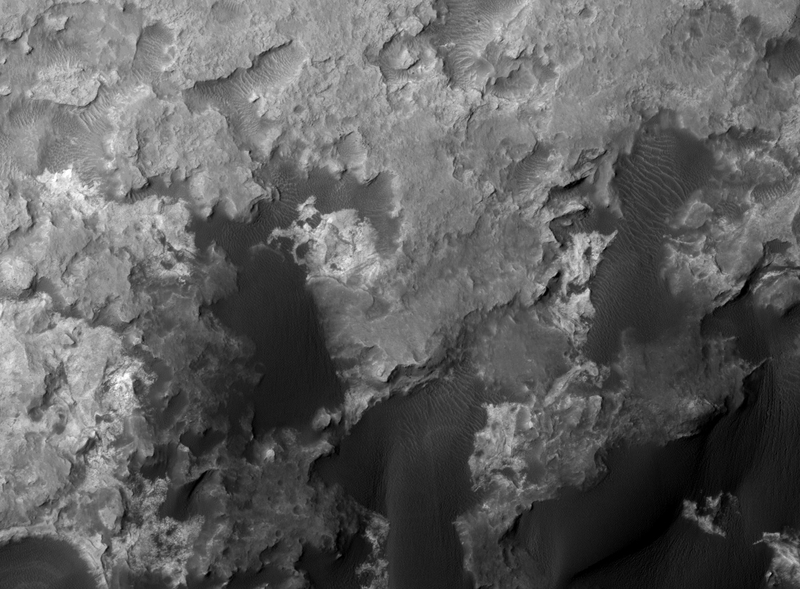 In fact, scrolling to the south in the HiRISE image provides a preview: lots of cliffs and rippled patches of sand. Here is a colorized version of the crossing of the ellipse.